This apartment building, located near PSU in SW Portland, achieved the LEED Gold Standard. 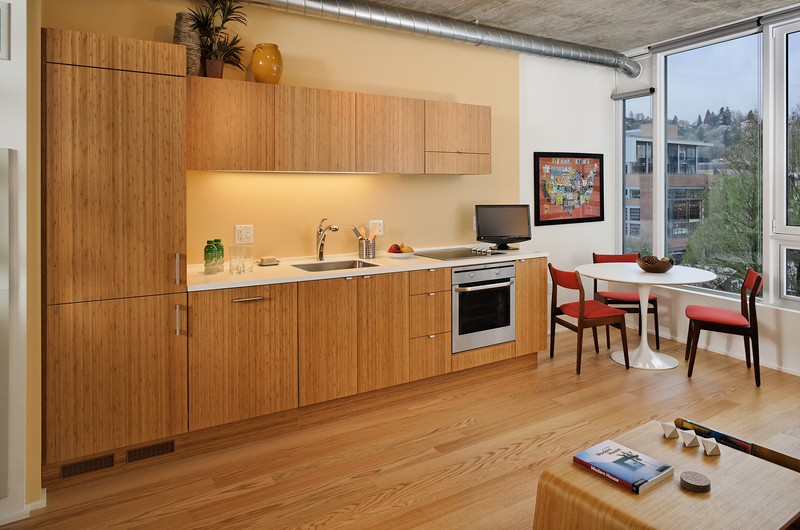 Bamboo veneer on locally-sourced, recycled NAUF particleboard contributed towards this LEED rating. Contractor: Hoffman Construction.